This guide will walk you through the process of the Udemy for Business login as an educational platform for professionals and others. Udemy for Business is an online professional development solution for businesses and teams who are interested in keeping their employees engaged and ahead of the game. The site offers various plans that make thousands of online courses available to your workforce. Your team can learn about technology, business, design, and even access custom training solutions built by your business using the Udemy platform. The Udemy for Business login process doesn’t take long. Follow these steps. 1. Navigate to the Udemy for Business homepage. 2. Click on the “Login” button at the top-right of the screen. You can log into your account using a mobile device by accessing the website in your preferred browser. In addition, the Udemy for Business mobile app is available for both Android and Apple users. Using the Udemy for Business app, you can view courses on-the-go or even download them for offline learning. The Udemy for Business login process is identical whether you’re using the app on an Android or Apple device. Here are the mobile login steps. Install the Udemy for Business app from the App Store to your preferred Apple or Android device. Open the app and enter the name of your team’s Udemy for Business portal. This is usually “yourcompany.udemy.com.” Check with your manager if you’re unsure of the name of your team’s portal. 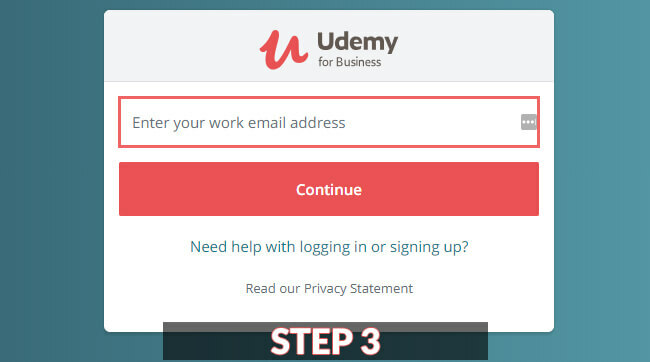 You can also use the link at the bottom of the screen to have Udemy use your work email address to attempt to fetch the portal name. Depending on the size of the company you work for, access to Udemy for Business platform may be granted through a single sign-on (SSO) provider. Examples of such services include OneLogin or Okta. If you’re unable to compete the Udemy for Business login process with your work email address, contact your manager to find out if you should be using an SSO provider instead. If you experience technical issues with the login process or have a question about how to log into Udemy for Business, you can use the Udemy contact form on their website to get help. 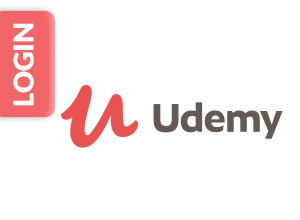 This form is specifically for Udemy for Business login and technical issues. You can expect a response from this form within 48 hours of submission. To complete the customer support contact form for help with the Udemy for Business login process, follow these steps. Choose “I cannot access my account.” You’ll now be taken to a new page to complete the rest of the form. Enter the name of your business organization. Check the box if you have a regular Udemy.com account in addition to your Udemy for Business account. Enter specific details about the issue you’re having. If you receive an error message while trying to log in, make sure to include it here.